Welcome to another exciting edition of the AKCP Dealer Newsletter. Over the past few months we have released a series of Access Control products. In this months newsletter, we focus on the AKCP Cabinet Control Unit. We will also take a deeper look at AKCess Pro Server's extensive range of features and how you can use these to create an unrivaled Access Control solution. Monitor 1000's of data cabinets worldwide. Access CCTV and Reports from any location. Retrieve real time statistics on 1000's of users. Review Video Playback of each Access Event. 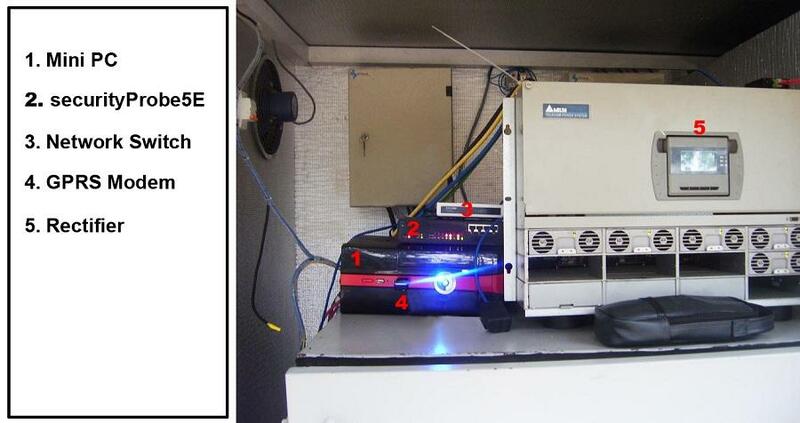 Let AKCP secure your sensitive data with the Cabinet Control Unit. AKCP's integrated Access Control system doesn't stop at simply securing entry and exit points. Once the AKCP Door Control Unit has your perimeter secured, you can move on to securing your equipment and perhaps more important, your information. It's increasingly common for companies to have situations where they only want a limited group of high security clearance personnel to have access to their most sensitive information and servers. With Access Control from AKCP, it's possible to link the cabinet controllers which grants access control for up to 1000's of server cabinets or doors using the AKCP Door Control Unit. With solutions from AKCP your system can be modified and adapted as your requirements change and your business grows. Providing you with a reliable, long-term, future proof system that gives you an excellent return on your investment. AKCess Pro Server's Reporting feature allows you to output a wide variety of reports unique to your own system and export to a widely accepted .CSV format. Included are a number of popular report types so you can start to use your data effectively, once it has been aggregated. We eliminate the tedious tasks involved with monitoring your employee's activity. AKCess Pro Server's integrated time & attendance, works alongside our monitoring devices, helping you monitor your labour costs and improve business productivity. Security is now a vital part of every business. Whether you are securing remote telecoms, large data centers, or simply a single entrance, AKCP has the solution for you. AKCP offers complete solutions without the dependency on third party hardware or software that is feature rich and easy to implement. Use our High Definition Digital Cameras to record entry and exit attempts. AKCP's card or biometric readers can automatically log users in and out. Click on the events log to review video footage. Digital zoom allows you to get up-close and personal for greater detail. Kami selama ini banyak menjual solusi IPPBX, salah satunya yang menggunakan software based, seperti 3cx. Rupanya segmen ini menarik juga untuk digarap oleh OZEKI yang selama ini berkonsentrasi di SMS gateway. Dengan menggabungkan fitur IPPBX, SMS gateway, webphone maka jadilah produk ini. Berikut daftar fitur lengkapnya . Empower your corporate communication system with the following powerful features and just discover how they can improve the communication methods towards your parners, employees and customers! When you use Ozeki Phone System XE you have the option to use various phone lines to make your corporate communication more effective. Ozeki Phone System XE allows to use analog phone lines, digital (ISDN) phone lines, GSM phone lines and SIP based VoIP in your corporate telephone system. You can configure the requested telephone line types in this section. Ozeki Phone System XE offers the great option of connecting your corporate telephone system to external VoIP service providers. In this section you can configure an external VoIP service provider in order to place calls outside the corporate telephone system via the Ozeki Phone System XE. By configuring more VoIP providers, you can dramatically save call costs because you can even route the given call to the cheapest provider. Ozeki Phone System XE efficiently supports a wide range of PSTN devices in order to ensure seamless communication. PSTN device support is necessary if you decide to setup a complex corporate telephone system that can also handle analog lines. PSTN devices are the ideal tools to connect analog or ISDN lines to Ozeki Phone System XE. In this menu you can configure your PSTN devices for effective operation. FXO Ports can also be configured when you use Ozeki Phone System XE. FXO ports are used by analog phone lines. FXO (Foreign eXchange Office) receives calls arriving from analog phone lines. Beside PSTN device configuration, you also need to configure these FXO ports in order to ensure analog phone line support in your corporate telephone system. Click here for configuration. Ozeki Phone System XE provides professional technology to ensure seamless and reliable corporate communication within and outside your company. In Desktop section you can configure devices that are responsible for ensuring communication within your companies. This way, you will find important settings here such as configuration options for SIP extensions, Phones, Fax machines, FXS ports. In SIP Extensions section you can specify the SIP extensions to be used in your telephone system. If you wish to setup an inside phone system, you can configure the various telephones as extensions in your system. From this point, any of these phones can call the other registered extensions. In the configuration form you can register the extension, then you can manage all of your registered extensions on one interface (their Order, Name, Status, Datasheet can be checked and managed). In Phones section you will be able to configure the phone devices (either software or hardware phones) that will be parts of your telephone system. You can manage them on one interface by providing the necessary values for registering them into the system. Ozeki Phone System XE allows to use a wide range of phones since analog lines, ISDN lines and SIP based VoIP are also available. In order to ensure a really complex, flexible and reliable telephone system, Ozeki Phone System XE makes it possible to register corporate fax machines, as well. In this way, all devices that can be used for various communication purposes will be managed under one roof. A wide range of fax machines are supported. In Fax machines section you will be able to configure and manage these devices. Ozeki Phone System XE also supports FXS ports effectively. FXS (Foreign eXchange Subscriber) is the interface that makes it possible to use analog phone lines for communication in corporate communication systems. FXS and FXO always come together. With the appropriate phone system, such as Ozeki Phone System XE, it is possible to easily configure FXS and FXO ports for analog phone line support. In case your corporate telephone system supports analog phone lines, you can provide complex and first-rate communication experience within and outside your company. Services section gives you really outstanding options for making a customized, flexible and reliable telephone system. Ozeki Phone System XE has been designed to provide really wide range of phone services for seamless communication experience. This way, you will have the first-rate options like voicemail, SMS messaging, call queues and call recording within your phone system. Ozeki Phone System XE offers a high-end voicemail service that has the capability to provide the right system to manage calls which could not be personally attended. In this section you can customize and configure voicemail service. This system offers a wide range of options such as dial by extension, dial by number, dial an alternate extension or leave a message in the voicemail box. Callers to your official numbers will be welcomed with a professional sounding voice message asking them to leave a message in the voicemail box. The built-in SMS messaging function makes Ozeki Phone System XE revolutionary in its field. With this feature a really complex phone system becomes available for your business to ensure the most high-end communication experience to your customers and partners. In this section you can configure all SMS messaging related options of your communication system. Ozeki Phone System XE makes it possible here to configure an excellent tool for great customer service. Introducing call queues gives your callers options to get them out of hold, answer your multiple calls in the order they were received and build sophisticated call groups for speedy customer responses. When you use Ozeki Phone System XE to setup your corporate communication system you have the great option to use the very latest best-of-breed technology in order to securely record, retrieve and playback all of your incoming and outgoing communications. In this section you can configure and manage call recording options within your telephone system. Ozeki Phone System XE provides the fantastic option for including your webpages into your corporate communication system. It is possible by employing webphones, softphones, click-to-call buttons or even live chat options in your website. In this section you will be able to configure these website related options. Choosing either one or all of these options, you ultimately experience higher customer involvement and response rate. In case you do not need a fully featured webphone but only a click-to-call button, Ozeki Phone System XE also supports this need. Here you can configure this option. Click-to-call buttons makes website visitors possible to click on a button on your webpage that is connected to your phone system. This way, a previously defined phone number will be ringed by clicking this click-to-call button. As a part of your phone system, Live chat modules can also be placed into your website. Ozeki Phone System XE allows to manage these live chat interactions efficiently. You can configure and customize this option here. Ozeki Phone System XE has been designed to handle mobile phones, desktop phones, the PC and the tablet of a user to offer the best possible communication experience. They work in all mobile networks (even if traditional VoIP is blocked), use an encrypted communication channel to offer end-to-end security and they can be managed in synch with desktop phones and PC clients. Ozeki Phone System XE lets you manage, route and track calls right from your Android phone no matter where you are. Its Android clients syncs in real-time with your desktop application, giving you real-time data. You can configure and manage Android clients in this section. Ozeki Phone System XE also supports Iphone clients efficiently. Now you can integrate your Phone System into your IPhone device. This feature greatly extends all the features of your corporate phone system out to mobile employees carrying smartphones. You can configure and manage Iphone clients in this menu point. Ozeki Phone System XE supports Windows Phone clients in order to provide more flexible and complex communication experience. In this section you can configure, customize and manage Windows mobile clients related options and functions. Ozeki Phone System XE supports Standard mobile clients in order to provide more flexible and complex communication experience. In this section you can configure, customize and manage Standard mobile clients related options and functions. Ozeki Phone System XE ensures high productivity. In case you have branch offices, you can easily and efficiently connect phone systems between your branch offices and make free phone calls. In this section you can configure and manage Remote office settings, Users settings, Phone book settings and API settings. In case you have remote offices, you can easily connect your phone systems between branches to operate as one phone system. Its greatest advantage is that it helps keep seamless operation, even if there is a break in operation (for example, no Internet connection) in one of the remote office, remote officers still can make calls within the company. Connecting your branch offices is a great idea becuase it allows to synchronize settings and configurations between phone systems. Ozeki Phone System XE ensures secure tunnel between PBXs. This section allows you to perform the basic steps that are required to add a new user and assign the user to a new phone. While you add a new end user and associate the end user with a new phone, you can configure a new directory number and extension information for the new end phone. In order to handle the registered users/phones and extensions, the Ozeki Phone System XE offers an easy-to-use and transparent telephone book. This phone book will be available and can be synchronized to all of the registered devices. With the use of APIs, the phone book can also be integrated even with ERP systems, so the contact list of the phone book will be updated automatically on all registered devices. This way, you can manage all users efficiently and quickly under one roof. In this section you can configure APIs for your Ozeki Phone System XE in order to provide a more flexible communication system. HTTP and SQL APIs are available for configuration. This feature allows to reach your PBX from outside or to integrate your PBX with other systems. Usually, in most corporate systems extensions are assigned to physical telephones. With Ozeki Phone System XE you not only have the fantastic chance to assign extensions to webphones, click-to-call buttons, etc, but you can also configure call routing both for outgoing and incoming calls. In this section you can also setup a black list. Outbound rules refer to the routing rules of outgoing phone calls. Ozeki Phone System XE allows you to setup outbound routing rules in order to define which lines/extensions will be used for a given call. This way, you can setup a cost-saving and flexible phone system. In this section you can configure and customize outgoing call routes. Inbound rules refer to the routing rules of incoming phone calls. Ozeki Phone System XE makes it possible to setup incoming routing rules in order to specify which of the registered phones/extensions incoming calls need to be routed to. This is an important feature that gives your system tremendous power while giving your company outstanding flexibility. With Ozeki Phone System XE, it is also possible to setup a black list. It means that you can setup a list of contacts who are being denied of participating in some service, access, recognition, etc. Usually, black listed numbers are prevented from being dialed, or some phone numbers are blocked from calling in the phone system. This section provides you essential information about the diagnostics of Ozeki Phone System XE such as system logs, details about calls in progress and monitoring of on-line users. The primary objective of system diagnostics is to detect, report, and clear system statuses and issues as quickly as possible with minimum disruption of service. In System Logs section you can check the events and log files regarding the system processes. These are essential in system maintenance. Ozeki Phone System XE ensures the great function of monitoring calls that are in progress. You can find information about calls in progress in this section. This feature gives remarkable options to improve customer services and corporate communication. Ozeki Phone System XE also allows to monitor on-line users activity. With these great feature you can gain important and useful statistics related to users. In Preferences section you can find general configuration options, PBX features, Phone numbering scheme, and network/Firewall setup. In General configuration section you can make configurations in order to setup your Ozeki Phone System XE quickly and efficiently. In PBX features menu you can configure, customize and manage all PBX related features of Ozeki Phone System XE in order to ensure seamless and flexible operation. Ozeki Phone System XE makes it possible to define the default length of the used telephone numbers in your phone system when you register a new device/extension. For efficient operation and communication with VoIP providers, proper firewall and network settings must be made in Ozeki Phone System XE. You can reach the configuration form of Network / Firewall setup in this section. Di sisi lain, semakin kompetitif jasa atau produk yang dijual, semakin besar pula peluang mendapatkan ceruk pasar yang lebih luas. Kesuksesan penetrasi jasa atau produk di pasaran oleh para profesional berkualitas selalu mengandung risiko tak terduga. Sejenak kita renungkan, keberhasilan para profesional dalam mendukung kesuksesan penjualan jasa atau produk di pasaran selalu mengandung risiko. Artinya, ada banyak kejadian tak terduga dan bisa berakibat fatal di balik proses saling terkait antara produk, proses produksi, dan orang-orang yang terlibat di dalamnya. Renungan itu bermuara pada satu mekanisme proteksi yang bisa melindungi siapapun dan dalam aktivitas apa pun, yang di dalamnya penuh dengan risiko tak terduga. Sebagai perusahaan, tentunya langkah protektif untuk menjamin keselamatan karyawannya menjadi hal yang sangat penting agar dikemudian hari jika terjadi hal yang tidak diinginkan. Misalnya saja, perlindungan asuransi jiwa ataupun perlidungan kesehatan menjadi sangat dibutuhkan oleh pekerja. Secara individual, siapa pun yang membeli produk asuransi jiwa akan mendapat proteksi dari berbagai kejadian di masa depan. Tak hanya karyawan disebuah perusahaan, seorang pedagang, misalnya, apa jadinya kalau di tengah-tengah usaha tiba-tiba gerainya terbakar, dan kejadian itu memakan korban jiwa? Atau, apa jadinya kalau pesawat terbang mengalami kecelakaan fatal dan para penumpang tidak diproteksi dengan produk asuransi jiwa? Bagaimana pula perjalanan kehidupan keluarga korban pesawat pascatragedi, seandainya mereka tidak mendapatkan proteksi dari asuransi jiwa? Secara korporatif, perusahaan yang telah memiliki manajemen yang baik, apa pun yang sudah memproteksi karyawan pasti terlindungi dari munculnya biaya besar ketika terjadi hal-hal tak terduga, misalnya kasus kecelakaan atau meninggalnya karyawan perusahaan tersebut. Bahkan bagi individu yang memiliki usaha sendiri tetap membutuhkan sebuah proteksi bagi dirinya maupun usahanya. Keberagaman profesi dengan dukungan berbagai produk asuransi jiwa yang diperlukan akan membuat rasa nyaman bagi tiga golongan yang berbeda. Pertama, tertanggung bisa bekerja secara maksimal tanpa perlu mengkhawatirkan risiko yang mungkin timbul sebagai akibat dari rutinitas dan kompleksitas profesi yang digelutinya. Kedua, keluarga yang bersangkutan juga bisa berpikir tenang sambil terus berharap agar tertanggung bisa berprestasi maksimal dan meraih jenjang karier yang lebih baik dari waktu ke waktu. Ketiga, kalau tertanggung merupakan karyawan sebuah perusahaan, yang diuntungkan perusahaan tempat dia bekerja. Proteksi yang secara korporatif bisa mereduksi beban biaya perusahaan secara signifikan manakala yang bersangkutan mengalami kejadian tak terduga selama menjalan tugas dari perusahaan. Atau, kalau tertanggung merupakan entrepreneur atau entertainer, dia bisa mendapatkan proteksi maksimal berbagai kejadian tak terduga di tengah-tengah profesi yang digelutinya. Semisal jika ada seorang tertanggung berkomitmen untuk mengalokasikan sejumlah uang guna membayar premi secara teratur, saat itu juga yang bersangkutan mendapatkan keuntungan jangka panjang. Asuransi jiwa dan proteksi di dalamnya, seharusnya menjadi bagian dalam eksistensi beragam profesi, sehingga mereka terlindungi secara finansial dari berbagai hal tak terduga. Your organization’s IT infrastructure generates huge amount of logs every day with vital information that can provide powerful insights and network security intelligence into user behaviors, network anomalies, system downtime, policy violations, internal threats, regulatory compliance and the like. However, the task of analyzing these event logs and syslogs without automated log analyzer tools can be both time-consuming and painful if done manually. ManageEngine (News - Alert), the real-time IT management company, today announced the availability of its Security Information and Event Management (SIEM) software for cost-conscious SMBs and enterprises, EventLog Analyzer. Previously dedicated to log analytics and compliance reporting duties, the latest version of EventLog Analyzer enters the SIEM arena with the addition of IT data indexing, universal log parsing and universal log search capabilities as well as a streamlined user interface. EventLog Analyzer is a Web-based, real-time log monitoring and compliance management solution for SIEM that improves internal network security and helps you comply with the latest IT audit requirement. Using this Log Management software, organizations can automate the entire process of managing terabytes of machine-generated logs by collecting, analyzing, searching, reporting and archiving from one central location. Version 8.0 is available now, starting at $395 for 10 hosts and is available for download athttp://www.manageengine.com/products/eventlog/download.html. A fully functional, 30-day trial version is also available for download. Recent security breaches at Yahoo, LinkedIn (News - Alert), eHarmony and others highlight the need for companies to protect themselves against criminal hacks. Meanwhile, regulatory mandates demand more companies to comply with Sarbanes-Oxley (SOX), Health Insurance Portability and Accountability Act (HIPAA), Payment Card Industry Data Security Standard (PCI (News - Alert) DSS) and other compliance acts. SIEM is becoming a key technology to help companies of all sizes thwart increasingly-sophisticated cyber attacks as well as comply with internal and third-party regulations. "For IT departments, SIEM offers a way to swiftly discover security threats and compliance violations and inform immediate, remediating action," said Chenthil Kumaran, product manager, ManageEngine, in a statement. "However, SIEM has traditionally been priced out of reach for the value-seeking SMBs and enterprises. Those that could afford it were often overwhelmed by complex solutions that were difficult to implement and operate. EventLog Analyzer brings SIEM to the masses, with potent features in an affordable solution that's easy to deploy and use." The revamped EventLog Analyzer provides the industry's most cost-effective IT SIEM solution, meeting all critical SIEM capabilities - log management, compliance reporting, user and application monitoring and simple deployment and support. With EventLog Analyzer in place, organizations can automate the entire process of managing terabytes of machine-generated logs by collecting, analyzing, reporting, archiving and searching from one central location. The latest version introduces advanced functionality with features such as streamlined user interface, universal log parsing and indexing (ULPI), which allows EventLog Analyzer to receive ANY human-readable log and break it down into meaningful field-value pairs to enhance indexing and searching capabilities, enhanced IT search, which allows users to search any kind of log formats with the flexibility to construct custom search expressions to perform wild-card search, phrase search, Boolean search, grouped search and range search, and log field extraction, which provides an interactive regular expression (regex) syntax builder for extracting one or more raw log fields, further adding intelligence to the universal log parser. The sleek, new user interface offers improved flexibility and functionality. Support for customizable dashboard views and the enhanced user experience provide better visibility into network user activities, policy violations, network anomalies, system downtime and network threats. It complements EventLog Analyzer’s Web-based user interface. Other new features include customizable dashboard widgets provide better visibility into network events, security events, event trend and event alerts, EventLog Analyzer users can now be imported from Active Directory groups, viewing and scheduling 'User Based Reports' now support wild-card '*' characters for selecting users, customized 'User Activity Reports' can now be edited from the 'My Reports' section of Reports tab, added FTP Active Mode support for log file import and additional standalone utility to index data (.dat file). "EventLog Analyzer helps us mitigate threats, conduct log forensic analysis, monitor server usage and meet regulatory compliance requirements," said Dimitri Yioulos, chief information officer, Onpoint Financial Corporation. "Beyond the security and compliance advantages, EventLog Analyzer plays an important role in optimizing network uptime. Finding the root cause of network problems can be like finding the proverbial needle in the haystack. EventLog Analyzer is a very useful tool, providing a simple, powerful log parser to greatly accelerate and simplify that root-cause analysis." 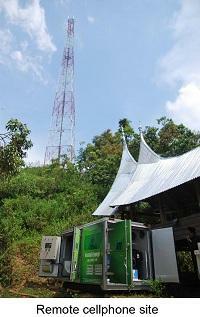 PT MN uses AKCP's securityProbe 5E to monitor unmanned cellphone transmitter sites throughout remote locations in Indonesia. The AKCP Pan Tilt Dome Camera, dual temperature and humidity sensor, dry contacts, PMS sensor and sensor controlled relays compliment the securityProbe 5E, providing a complete monitoring solution. 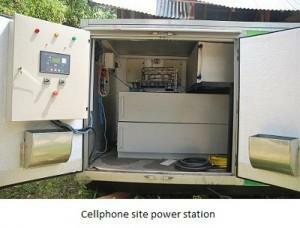 These Base Transceiver Stations (BTS) are powered by solar panels, a battery backup system and diesel fueled generators. 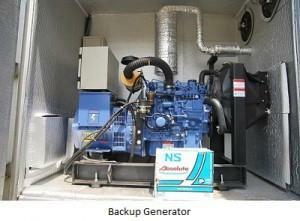 This ensures there is always a source of power available no matter what the circumstances. The internal temperature and humidity is monitored using AKCP's single port dual temperature\humidly sensor. Video security is monitored via the AKCP Pan Tilt Dome (PTDC) cameras as well as motion detection. These pictures are then uploaded to the customers ftp server for instantaneous viewing at their central command and control center. AKCP's Digital Volt Meter is used to monitor the output voltages, current and health of their battery backup systems and also the fuel level of the backup genterators. Dry contact sensors detect when the backup generators have been activated and the AKCP sensor controlled relays are controlling equipment such as the cooling fans for example. All of the AKCP sensors are tied to notification actions that have been setup on the securityProbe 5E's built in web interface and sent automatically when their pre- set thresholds are reached. No other hardware or software is required. Some of these sites, due to their remote location, do not have local area network (LAN), or wide area network (WAN) connection. The only access possible is via a GPRS network, so GSM modems are required. These third party USB GSM modems are connected to the securityProbe 5E's USB port allowing for the real time status of the unit and sensors to be pushed out at pre-set intervals. The customer required the data from the unit and of all the sensors to periodically (every 20 seconds) be sent directly to their web servers. This was initially accomplished using a PC to poll data from the securityProbe 5E, and then the PC was pushing out the data using HTTP GET to the web server. In order to stream line this process and eliminate the need for the PC (reducing the customers costs considerably), AKCP added support for the HTTP GET/POST into the "heartbeat" message as a script that can easily be chosen from a drop down menu on the heartbeat option. This custom engineering feature enhancement was provided free of charge to the customer by AKCP.